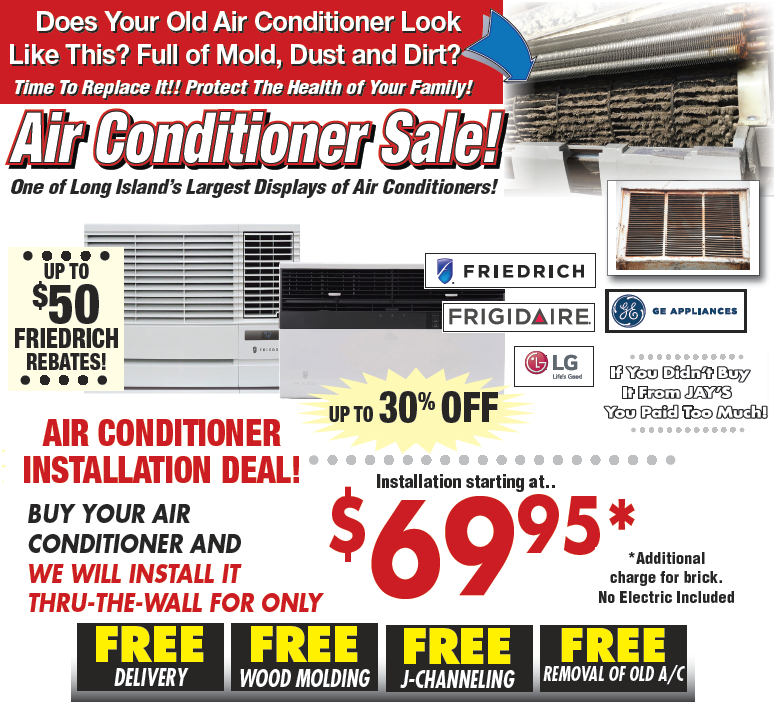 A/C Pre-Season Sale is going on NOW!!!! Through the Wall Install Starting at $69.95!!!!! 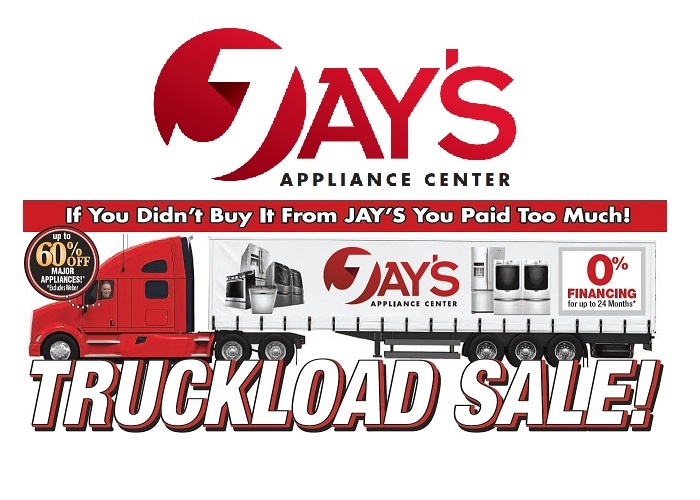 Truckload Sale on NOW!! !Save up to 60% on Major Appliances!!!! 2019 Weber Grills are on sale now!!! At Jay's we offer Free Delivery and Free Assembly on any Weber Gas Grill. Call or Click for details!!!! We Deliver to ALL of Long Island!!!!!!! Just a quick reminder that we deliver to ALL of Long Island and the 5 Boroughs of NYC. Installation is available in most places as well*. Towns with only Ferry access, we will deliver to Ferry Terminal. Call for Details.